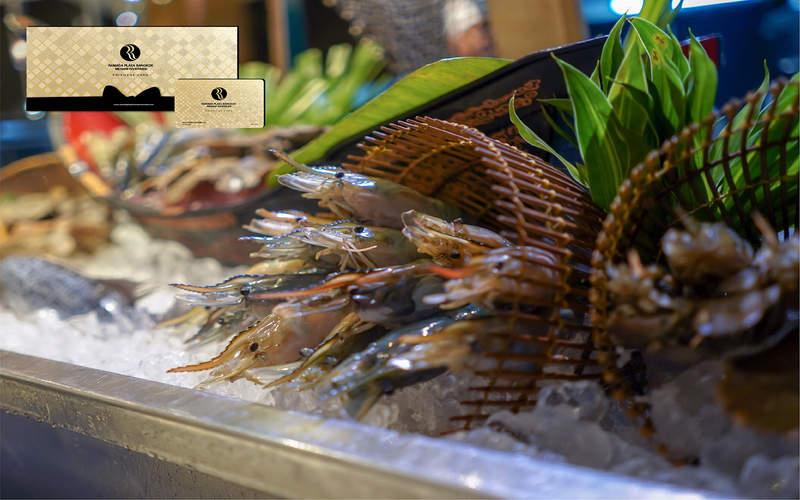 The [email protected] Restaurant of Ramada Plaza by Wyndham Bangkok Menam Riverside’s lavish evening buffet delivers a feast of Oysters, Prawns, Salmon and Mussels amongst the selection of seafood paraded on ice. BBQ, a-la-minute or Chinese style, our artistic chefs will entertain at the live cooking stations for your pleasure, creating culinary magic before your eyes. The international buffets include highlights from Japan, Europe, India, China and Thailand. Buffet Lunch at THB 790++ and Buffet Dinner at THB 1,400++. Contact the hotel now and start enjoying your privileges today by calling or emailing using the details provided on this page. More like Outstanding ‘Privilege Card’ Deal!